The group of Girl Scouts in the parade. 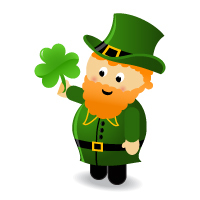 St. Patrick's Day is on March 17. Which is the date of the day after St. Patrick's Day? Civil disobedience by Mohandas Gandhi to protest the British tax on salt by marching to the sea to make their own salt. What was the march that Gandhi led in 1930 called? When is Joseph's feast day? Martin Luther King, Jr., Day is celebrated in which month? Which month is NOT capitalized correctly? Wednesday was the first day of march. Who was the March King? Which month comes just before April? Which 2 composers were considered the pioneers of march style music? March 28, 2014 was a Friday. What day of the week was March 18, 2014? Which month comes right after March?